As a wedding gift, we received a 6 quart dutch oven. Not to let that one sit too long idle, I knew a whole roasted chicken was in order. STAT. Now, roasting a whole chicken really isn’t scary. I promise. Even if you don’t have a dutch oven, here’s a recipe you can use. If you DO have a dutch oven (or any pot with an oven safe lid), then get to work! 1 whole chicken, giblets removed, rinsed and patted dry. 1. Preheat your oven to 275 degrees. Heat olive oil in dutch oven on the stove over medium high heat. Add onions, and cook until translucent (about 5 minutes). 2. Add garlic, cook for 30 seconds, stirring constantly. Don’t burn the garlic! 3. Add chicken, and cook for 4-5 minutes on each side. 4. 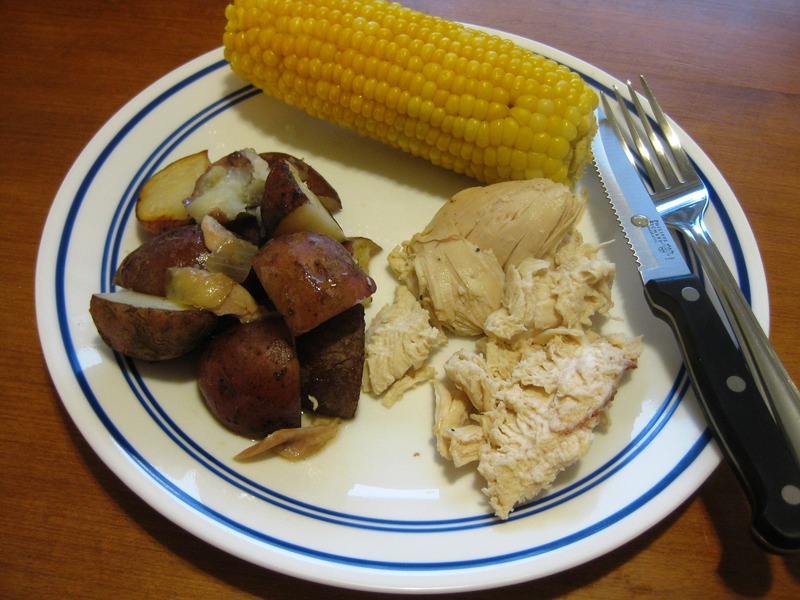 Return chicken to breast side down, and add potatoes around it. Cover the pot with tin foil to help retain moisture, and then cover with the lid. 5. Roast at 275 degrees for 1.5 hours. If you want the skin to get a little crispy, take the lid off for the last 10 minutes, or so. 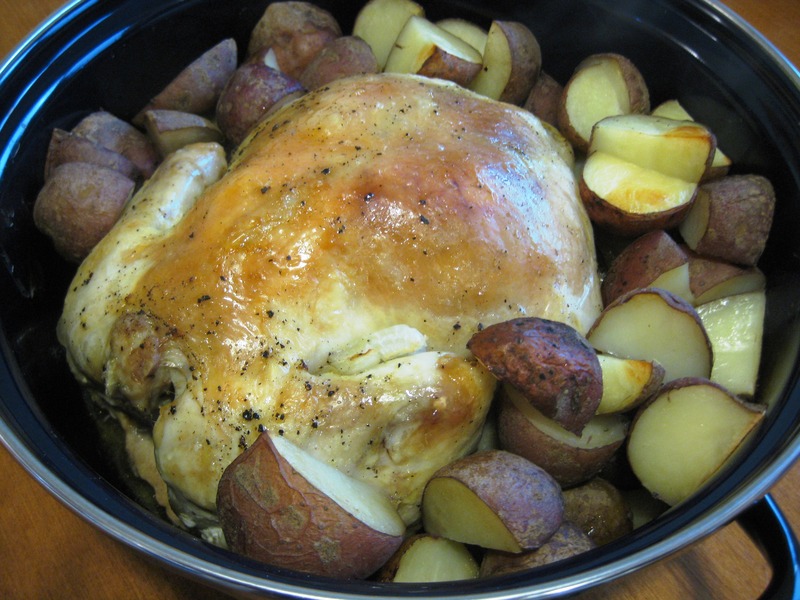 Chicken is done when it reaches 180 degrees in the breast meat. Prepare yourself for deliciously tender chicken! Happy cooking!